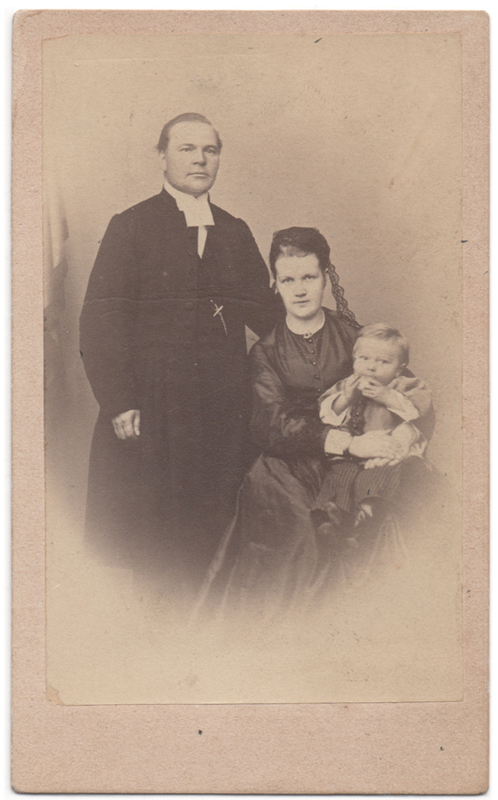 Photograph of an unknown priest with his wife and their small child. The adults appear dignified and serious, but the small chubby boy is happily munching a piece of bread, or a bun – perhaps the child would not sit quietly for the photograph unless bribed with something edible. Munch munch! No information about these people or the identity of the photographer remain. Nevertheless, it is reasonable to assume the photograph was taken at some point during the 1860’s, possibly in Finland.